Italian vintage 1950`s velvet upholstered curved sofa. 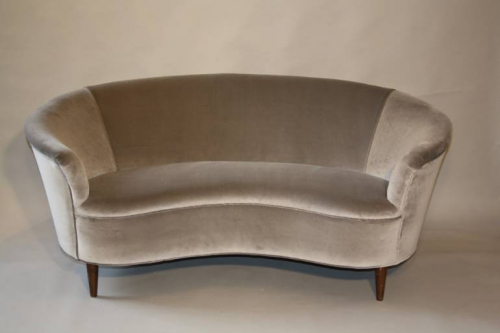 A gorgeous curved two seater sofa, reupholstered in silver grey velvet. Italian c1950. Elegant and petit.